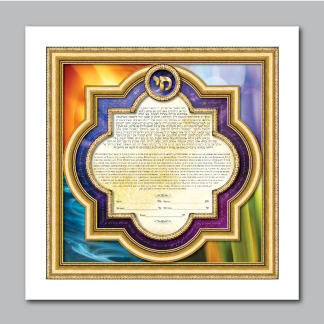 "The Essence of Life is Love" Ketubah is inspired by the word "Chai", which in Hebrew, means "life". 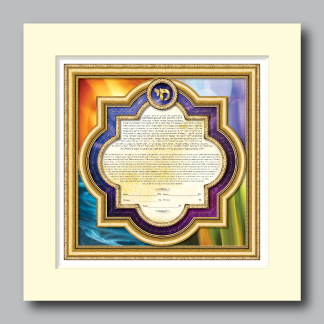 This word is placed in the small window above the ketubah text. 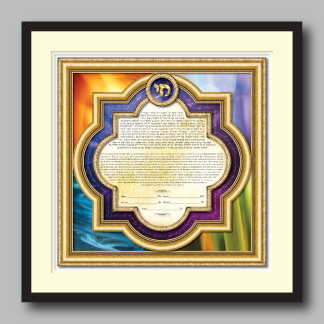 Its place signifies the link between life, and spirit. In each corner of the design are the four element that make up the structure of our world. They are fire, air, water and earth. 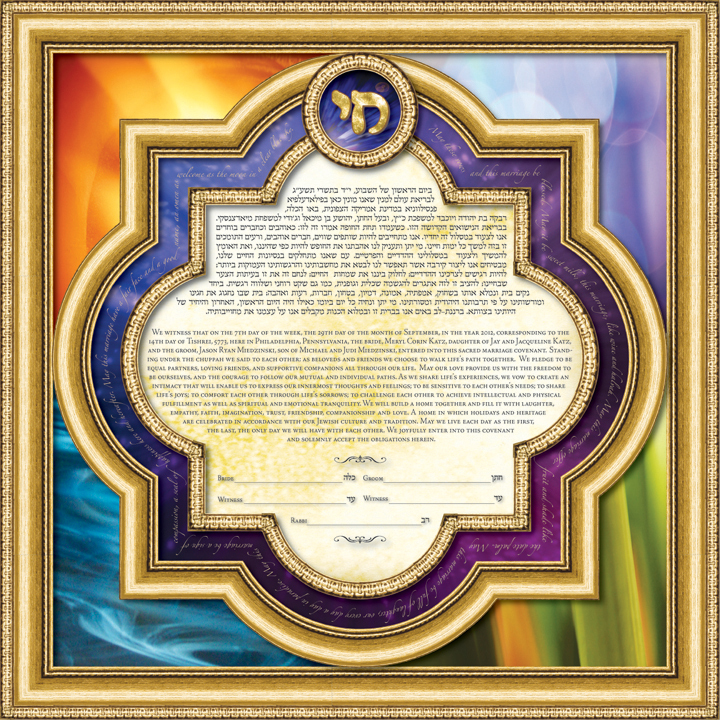 Surrounding the central window that holds the ketubah text is a celestial blue and purple cosmos that symbolizes the spiritual aspect of our universe, and the power of Gd. The breath and love of our Creator fills our world and everything in it with lush and verdant life. 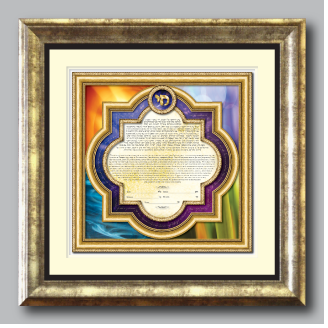 Suspended above the blue and purple cosmos are words written in gold borrowed from the prolific poet Rumi, from the poem, "This Marriage". The metaphors used in this lovely poem equate the the vast bounty of earthly gifts bestowed upon us from above to the joyous love shared by the bride and groom.